Travel To World. Road Trip. Tourism. Open Book With Landmarks. Travelling Vector Illustration. The World Is Yours. Modern Flat Design. Royalty Free Cliparts, Vetores, E Ilustrações Stock. Image 74104275. 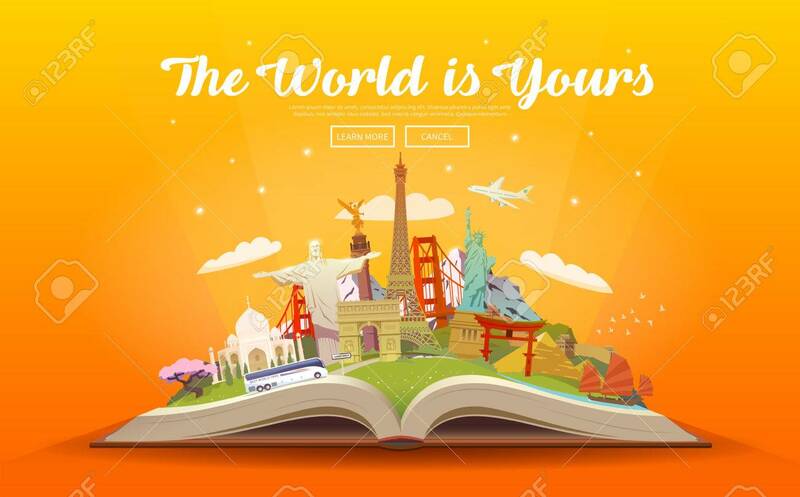 Banco de Imagens - Travel to World. Road trip. Tourism. Open book with landmarks. Travelling vector illustration. The World is Yours. Modern flat design.